Click here for booking page. 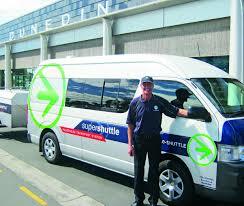 Wellington Airport is serviced by leading shuttle, taxi and rental car agencies. The rental car agencies can be found on the ground floor of the terminal, and the shuttles and taxis are located directly outside the baggage claim area on Level 0 of the main terminal. Indicative fares from the airport into the city is approximately NZ$35 one-way for a taxi and shuttles ($20 for one person plus $8 for each extra person together in the same group). For specific fare pricing, contact the taxi and shuttle companies directly. Click here to be taken to the InterCity Coachlines website.